참고하셔서 학업과 학교 생활에 잘 적응하시기 바랍니다. 2018 여름 단기 한국어과정의 입학식 장소와 날짜는 아래와 같습니다. 7월 25일 수요일 외국어연수평가원 001호에서 여러분을 기다리도록 하겠습니다! We've attached the student guide book for 2018 Summer short-term to help your new school life. 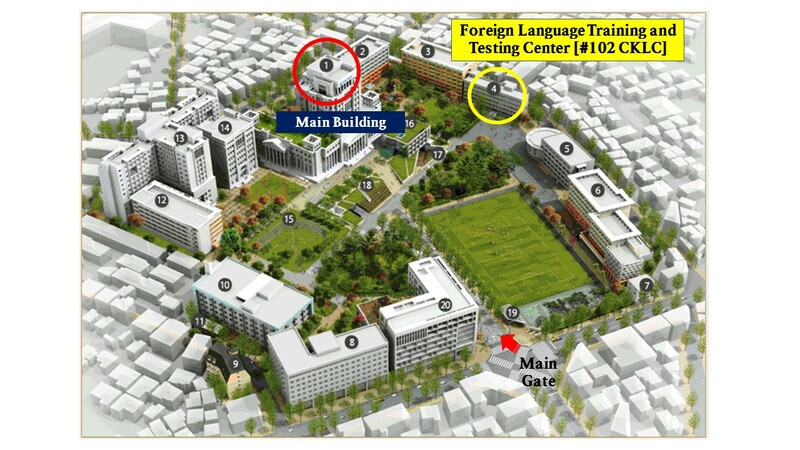 And here is the location and information of Opening ceremony for 2018 Summer short-term Korean language course.